To ADVANCE and SCORE with your idea, your startup, early-stage, or other company, join us on the journey to improve your innovation results. And as you SCORE, you may even CHANGE THE GAME in your business or your industry! > And finally have FUN, as you are inspired by diverse achievers across a spectrum of industries. Following three years of growing success and impact, we have reserved MONDAY, SEPTEMBER 25, 2017, for the 2017 Innovation Summit: Design & Run Your Innovation Playbook. This continues meeting our goal of connecting innovators to one another and potential resources. Good news: You don't need to be a Wharton alum to attend and benefit from the Summit. EVERYONE interested in innovation - and moving their career and team forward - is welcome. REGISTER NOW for Monday, September 25, 2017 to infuse your innovation and entrepreneurship capabilities with more knowledge, connections, inspiration and fun, as you move your career - and business or other organizaton - forward! This will build on the three successful Summits we've already held, each of which received rave reviews from speakers, attendees and sponsors. Register now so you YOU can ATTEND, PARTICIPATE IN, COLLABORATE, and BENEFIT from the Summit. Don't miss out - ACT NOW! DAVID TRONE, Owner of Total Wine & More, now a fast-growing $2.5 Billion category leader continuing to expand at a double-digit rate, will be our luncheon keynote. From a tiny startup, David has used innovation, entrepreneurship, vision, a dedicated and well-educated staff with varied talents to power a company that has become the world's largest independent in their category. REGGIE AGGARWAL, Founder and CEO of Cvent, will inspire attendees with lessons he has learned on the path to success fueled in significant part by innovation, but overcoming huge obstacles, and with a $1.1 Billion Private Equity buyout in 2016. 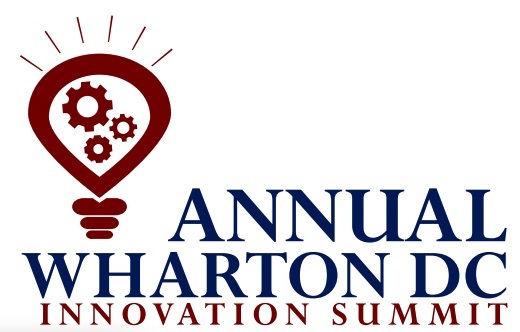 Or click HERE to view our WhartonDCInnovation.com website with the latest information about Sessions and Speakers. Click here to Register for the Summit before rates rise again and to secure your place!!! Feel free to contact us if you'd like to learn more about sponsorship opportunities by emailing us (just click here). (IF NOT WHARTON CLUB MEMBER, must list the name of your Strategic Partner / Govt. Agency / Nonprofit / Veteran (please enter mil. branch) under Special Instructions when you register. Thank you. And you're welcome to join the Wharton Club, if you'd like, to save. Dr. Marni Falk, M.D., Assoc. Prof.
Randy Domolky, Co-Founder, Man. Dir. Bill Zielinski, Dep. Asst Comm. Dee Metz, White Flint Coord. ... a total of 235 guests. Click here to Register for the Summit before rates rise!! !